Long Island Business News: Reports Charles Wang has won the bidding for bankrupt Twin Rinks in Eisenhower Park for eight million dollars. Eight million for a rink that ran over-budget to fifty million dollars that's a year old? Money talks, and no the bankruptcy sale process is a simple bid after qualified parties are selected who can operate a facility, this was not Nassau County's decision to make. Wang made a nice statement hosting prospect camp there for a week. Wang also beat out Ed Blumenfeld (lawsuit with Ratner over Coliseum) who had Bob Nystrom/Gerry Hart's support/SoNo in Norwalk Ct.
Hart backed off his bid in 2001 for Iceworks which Wang won for a 1.4 million bid, and endorsed Wang's efforts at the time. 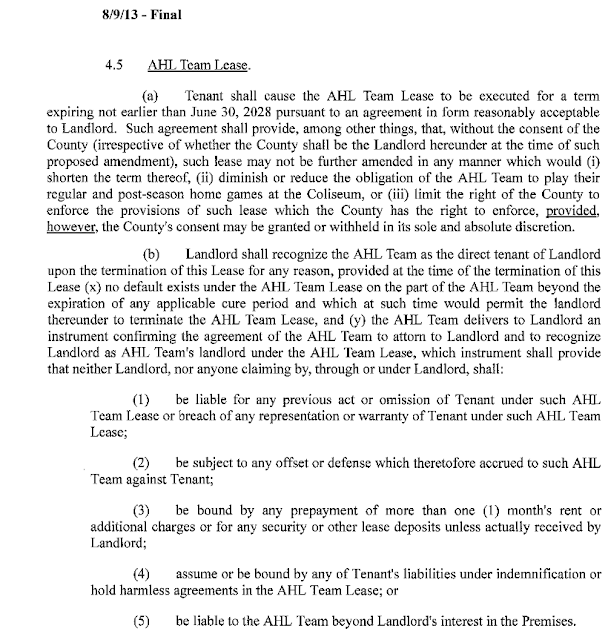 The agreement to renovate Cantiague, and construct offices, was a settlement for Wang to get back almost five million dollars in Lighthouse project money in escrow, my impression is Wang is obligated per that ten year lease agreement to move the Islander practices there beginning 12/31/15 with team offices to be completed by February regardless of Twin Rinks or Iceworks. All we have is what was reported in terms of the agreement with Nassau regarding Cantiague. Why is Mangano going to let him out of that agreement? What happens could come down to how embarrassed Mangano/County are over the Twin Rinks fiasco where he gave his state of the County speech. Ok. Twin Rinks, Cantiague, Ice Works. Guess he did this for the real estate too? 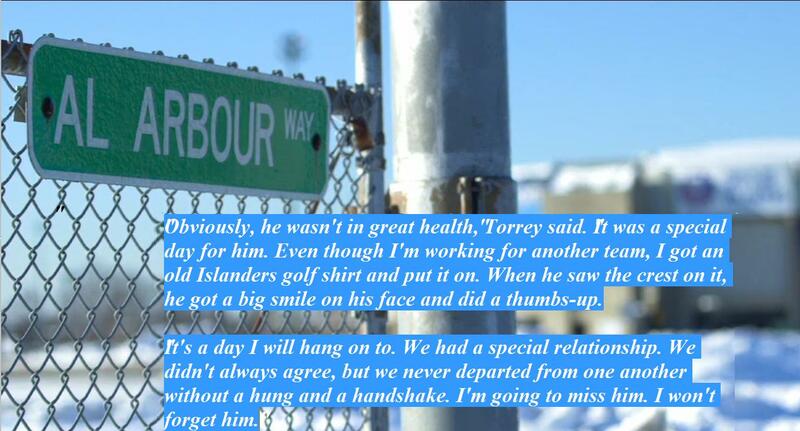 Let's see a re-branding from Twin Rinks to Al Arbour Rinks at Eisenhower Park. No disrespect to the Ferraro brothers. On 8/9/13 the official lease agreement for the Nassau Coliseum was agreed to and signed by Bruce Ratner. 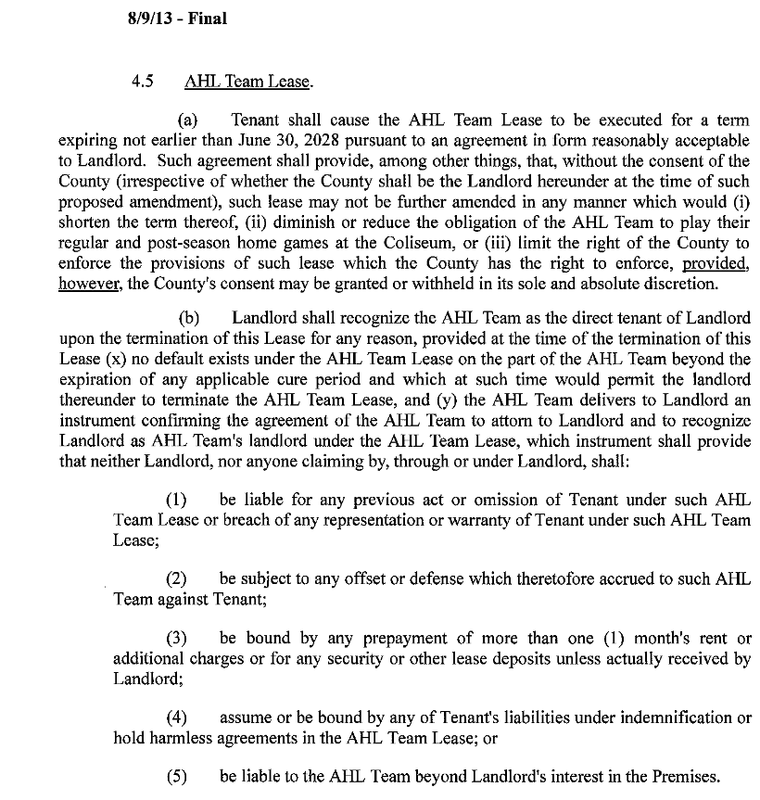 The terms regarding an AHL team are on page 24. On 9/20/13 Nassau County reviewed Bruce Ratner's final lease agreement. Page 2 makes clear an AHL team will serve as the Coliseum's anchor tenant. So why is Brett Yormark giving the impression that he does not need a core tenant at the Nassau Coliseum on 8/5/15 comparing the Coliseum to the O2 in London? He can do his attempted Brooklynising all he likes which has failed with the Nets, and will never be accepted by the NEW YORK Islander fans which had forty percent of it's season tickets come from inside the NYC limits in July 2011. And yes, I found a mild Brooklyn chant during one game at Msg on 1/24/14 so I was wrong about that past statement of never hearing one cheer for the Nets. For now Mr Ratner's late on his mid-August groundbreaking with no announced date. Ratner owes Prokhorov 31 million dollars per the SEC and that deadline has been pushed back already twice to 9/8. Mr Yormark is not announcing a ground breaking date. Is it possible Nassau let's this go through with no hockey team or anchor tenant? Not if the paper work means anything it's printed on. I'm well aware of Mr Ratner board ties (also in Brooklyn) to Sloan Kettering. That's a huge deal separate of the money being put in by NEC/Ratner for the Coliseum bringing in over a hundred and forty million dollars (construction) so you can bet Mangano has no issue (at Joel's concert with Cuomo) who likely is providing state funds for a future parking garage which will bring even more development. Did it change the Coliseum anchor tenant agreement is the big question which is 40 hockey games for an AHL team? Let's compare the Sound Tigers revenue vs 140 million dollars in construction for Sloan Kettering? All paperwork transactions which let's the team dress the minimum veterans during some preseason games who are on AHL contracts before they are released from the PTO. Boulton for a little reference falls into the 2010 plan with Dean McAmmond, Manny Legace, Anders Eriksson, Krys Kolanos and Joel Martin needed to fill out a lineup card. At best Boulton lands an AHL contract for his efforts like the players above. The Islanders getting into the practice of playing two games a day in different locations makes this necessary.